As the April 15th deadline for filing 2018 income tax returns draws near, practitioners may encounter some clients who don't have cash to pay the balance due on their returns. Clients can avoid penalties but not interest if they can get an extension of time to pay from IRS. Financially distressed clients may be able to defer paying their income taxes, including installment agreements and offers in compromise with IRS. Paying in full within 120 days (short-term payment plan). A taxpayer can pay the full amount owed within 120 days, without having to pay any fee, but interest and any applicable penalties continue to accrue until the tax is paid in full. Taxpayers can use an online payment application (IRS website) or call IRS at 800-829-1040. There are different installment agreement rules for taxpayers who owe $10,000 or less, and for taxpayers who owe $50,000 or less. 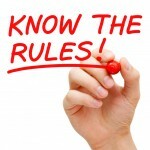 The taxpayer is financially unable to pay the liability in full when due and submits information that IRS may require to make this determination (i.e., a financial statement). (Code Sec. 6159(c)(2); Reg. § 301.6159-1(c)(1)). IRS grants guaranteed installment agreements even if the taxpayer can pay his or her liability in full. Even if You CANNOT Pay Your Tax! 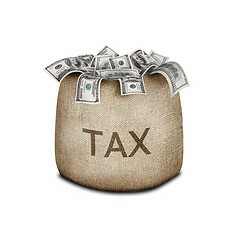 You reduce your associative tax return penalties from 5% a month for late filing to .05% for late payment penalty. Need Time To Pay Your IRS Taxes?